It’s true that most divorce cases do not end up in court, but that’s not an excuse to not be prepared for trial. In many cases, a successful outcome in settlement negotiations or at trial is largely dependent on the credibility of your expert witness. When it comes to the financial aspects of a divorce case, a qualified and experienced expert can strengthen your case with investigation, analysis and concise presentation of financial facts. Britt & Company, P.A. can help divorce attorneys and their clients prepare for trial by helping to gather the necessary documents to prepare and support the client’s financial position. We can help prepare you to cross examine other financial experts and assist you with financial trial exhibits including comprehensive timelines, calculations and financial models. We are uniquely qualified to provide expert testimony at trial, should the case go to court. Our technical knowledge and communication skills will ensure clear and concise testimony that judges and juries will understand. 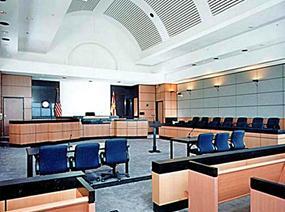 Call 954-718-5022 to discuss our trial preparation services.